Attention is Either bought or earned. Paid attention ensures that your brand will be heard - and that's a good start. But if you earn attention, you know that your audience is actually listening! At Octagon, our purpose is to create work that earns attention. Through meaningful partnerships and a smart approach, we compete for, capture and earn the attention of those who matter most. Meet the team that leads this approach. Kitzbuehel, skiing El Dorado: The Hahnenkamm, the Streif - 145 km/h top speeds, an 85 percent slope, 60 meter jumps – one of most spectacular ski slopes worldwide and a highlight on the FIS skiing calendar. Here, at one of the biggest winter sports events in the Alps, sports heroes are born. Reasons enough for Octagon to help Mastercard being selected as the “Official Partner and Payment Service Provider” of the Hahnenkamm Races starting in 2016. While excitement and thrills are at their peak right prior to the start of the perhaps most significant, but certainly most legendary race of the World Cup, we are delivering exceptional, unique end-to-end hospitality programs for Mastercard and their clients the third year in a row. The objective: being close to or even right in the middle of the event, experiencing the myth of Kitzbuehel, and feel it - in the “best seats in the house” in and on the exclusive Mastercard Lounge & Grandstand built by us right at the slope for the event, whether at the final jump of the Super-G or Downhill race on the Streif or for the slalom on the Ganslernhang, or even during a personal meet and greet with skiing legends as part of arranged exclusive get-together onsite. We also transform the start hut to one of the most popular place of the whole Hahnenkamm event by presenting select guests another once in a lifetime experience: right before the race they head up the Streif for a start hut tour; our best skiers even go on a – cautious – trail inspection. Following the footsteps of Didier Cuche, Hermann Maier, Franz Klammer, Pirmin Zurbriggen, Toni Sailer and all the other ski aces – pure Hahnenkamm feeling. By the way: We are not just focusing on winter sports. 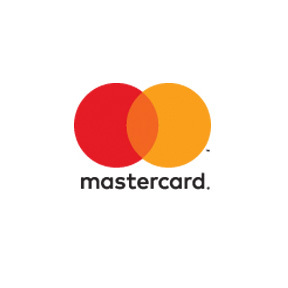 During the summer we support Mastercard at the French Open, the UEFA Champions League and the Grammys. The goal always is to provide our guests with unforgettable moments and experiences – priceless. With the help of Octagon, AB InBev successfully activated their partnership with one of the major electronic music festivals worldwide –Tomorrowland at Boom, Belgium in 2016 and 2017. We set standards in terms of service offers and delivered, during an event featuring the who is who of EDM, state of the art hospitality services for more than 1,000 guests from 17 countries. We organized various tailored programs for our clients and offered them – true to the festival’s motto “Elixir of Life” and „ Freest Place on Earth“ – a real “comfort zone” with end-to-end services: from transportation to accommodation, catering and many exciting program elements, even an exclusive VIP area on the festival grounds themselves. That precision in regards to preparation and activation was just as elementary for us as it was for the artists on their synthesizers and computers – code of honor. And we added the special flavour: Only AB InBev invited guests were allowed to stay in the so-called “Brew District” to experience the multi-day event in extraordinary luxury. Real tree houses, a pool, a bar, lots of culinary highlights – the chill and feel-good factor was particularly high. As a result, our guests could focus on getting carried away by the rhythm of the beats. Martin Garrix, Armin van Buuren, Dimitri Vegas & Like Mike, Tiesto, David Guetta, Paul Kalkbrenner and other greats of electronic music took care of that part. Great Teamwork. 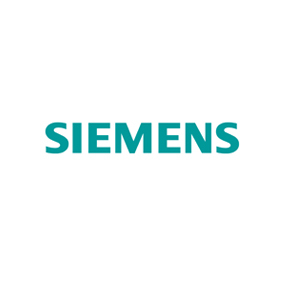 Siemens’ high complexity, given its ~350,000 worldwide employees and regional corporate structures, is also reflected in the area of sponsorships. Octagon consults the central sponsorship department in all strategic questions and evaluates requests and partnerships on a global level in the areas of sports, culture, education, and thought leadership events. 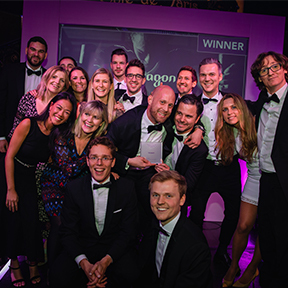 Additionally, Octagon helped develop a communications program for Siemens – who are a Innovation Partner of “Aston Martin Red Bull Racing” and “Land Rover BAR” – which focuses on corporate-related content and is used as an internal best practice showcase. Other Siemens activities that are supported by Octagon include the activation of the partnership with the Salzburg Festival and FC Bayern Munich (Football/Basketball). 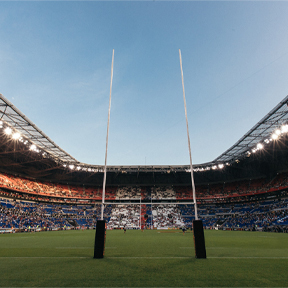 Siemens is the official performance partner of the European powerhouse and Octagon runs the hospitality and ticketing programs. “From Rookie to Allstar” – here you can find kids of all ages and levels. They also let our hearts beat faster: in 2011 we developed the “kinder+Sport Basketball Academy” for Ferrero. 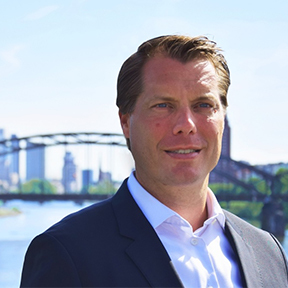 More than 120,000 kids “moved” in over 250 events throughout Germany each year, underlining the success of this project – to the delight of Henning Harnisch, former world-class basketball player and ambassador of the Academy. In addition to the twelve participating professional clubs, the easyCredit Basketball Bundesliga has also quickly added the Academy as an official youth development program to the league. On an international level, our program approach was also very well received. 11,000 kids participated in the “kinder+Sport” activity program at the Milan Expo in 2015 for two days and set a record of “moved” kids. In 2016, we were entrusted with the activation of the partnership of “kinder+Sport” and the German Olympic and Paralympic teams. We were able to establish and significantly increase brand awareness of the “kinder+Sport” initiative, which aims to inspire young people to adopt an active lifestyle. Former top athletes, who serve as ambassadors and embody the values of the sport, support the success of the project. Meanwhile, we take care of the entire project management scope, from strategic development, activation and PR to the final evaluation. In addition to the existing programs “kinder+Sport” is becoming a partner of the cycling race Eschborn-Frankfurt and of the “Deutschland Tour” in 2018. The “kinder+Sport mini tour” will use its educational approach to excite children for sports. This time with a focus on cycling. Since 2017, Octagon has been supporting Zurich insurance, Official Insurer and one of the top four partners of the German Olympic Team (Deutscher Olympischer Sportbund (DOSB)), in conceptualizing and executing the activation of this partnership. Besides building up a Zurich Sports Team via athlete testimonials, we developed an influencer marketing concept, as well as a roadshow – the “Fire and Flame” Tour – with a strong CSR approach, under the headline “True Love”. Impressive: in less than six months, over 2,100 participants cycled for more than 32,000 Euro in donations. At the 2018 Olympic Winter Games in PyeongChang, we created visibility for our client in the highly restrictive marketing environment. We effectively reached a younger audience with three social influencers (selction criteria were reach and brand fit) and the athletes of the Zurich Sports Team, who brought the partnership to life. In addition, the CSR activation we created for the German House – the hottest gathering point during the Games – was equally successful. Athletes, celebrities, media representatives, officials and guests cycled on the Zurich donation bike to reach an amount of 10,000 Euro. Zurich Insurance donated this amount to the sports competition for schools "Youth trains for the Olympics" for promote talent development: even more mileage for a good cause. And then, finally: Zurich got the highest social media reach during the Olympic games, ahead from other partners like adidas and Toyota. 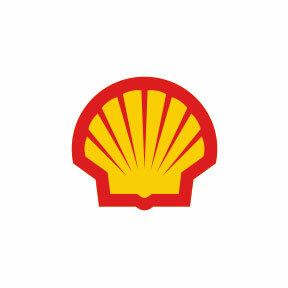 We’re proud to partner with Germany's boldest and most inspiring brands.